Who remembers Little Golden Books? 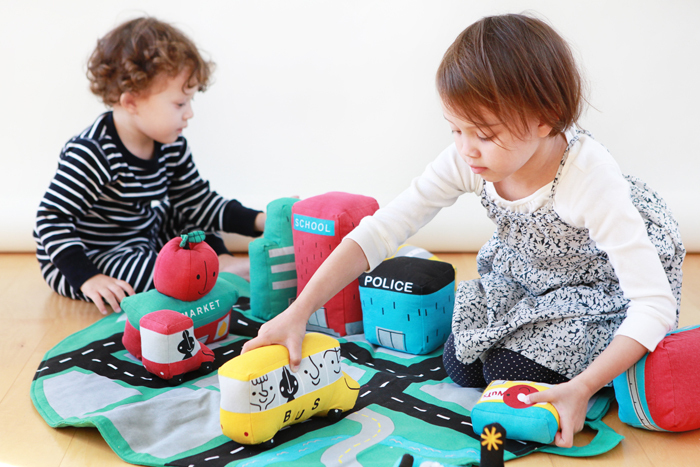 Head over to The Land of Nod's blog to revisit the books you grew up with as well as a new exclusive Little Golden Books for Nod collection designed by them. 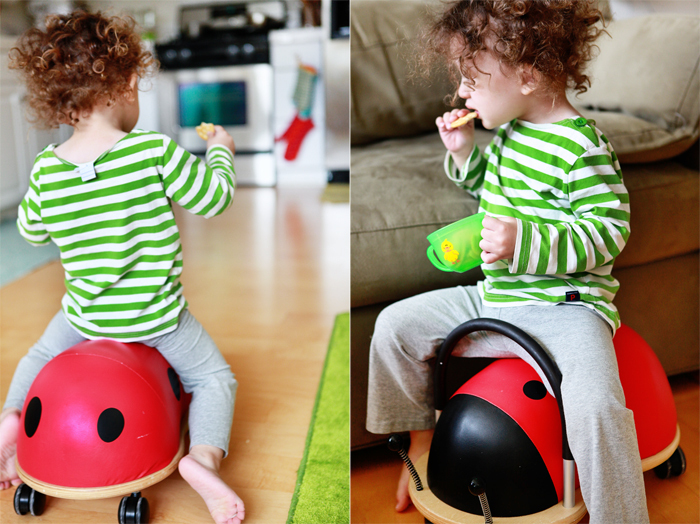 Nate has been riding the ladybug a lot lately--both he and Avery love it! 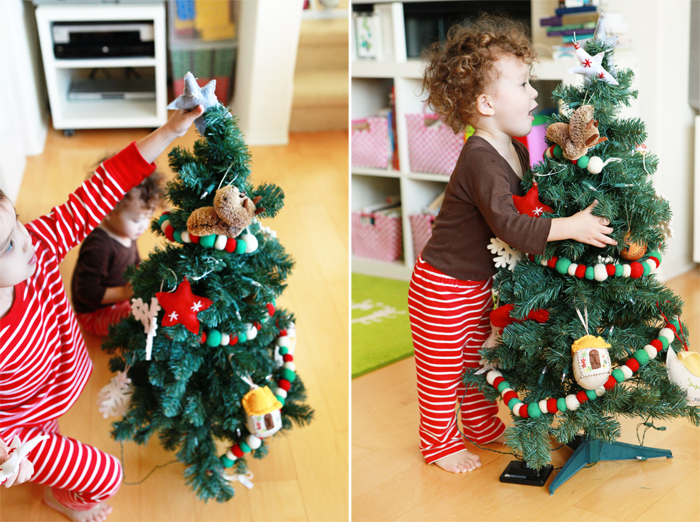 Scenes from decorating our little Christmas tree this past weekend. We added a little garland from The Land of Nod this year, which gave it a cozy touch.